Hong Kong had a great year 2017 filled with exciting new projects and initiatives, numerous local startups gaining international recognition and a thriving domestic fintech ecosystem. EMQ is building a financial network across Asia with a focus on remittances. The company partners with financial institutions and other strategic partners in various countries to enable and settle cross-border remittance via banks and various modes for top-up and last mile delivery. It currently has a presence in Hong Kong, Taiwan, Indonesia, Vietnam and the Philippines. 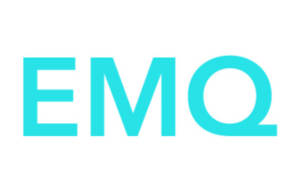 EMQ closed its US$6.5 million Series A funding round in December 2017 from “well-known Silicon Valley entrepreneurs and international venture capital (VC) firms,” according a report by Deal Street Asia. In November 2017, EMQ signed a partnership with payment service provider WeChat Pay HK to expand its remittance services in Indonesia. The two companies had previously partnered to launch a similar service in the Philippines. Qupital runs an online invoice discounting platform supporting SMEs to raise cash. Founded in March 2016, the startup aims to address the lack of efficient SME financing solutions in the market. Qupital currently serves a wide range of SMEs in the export, manufacturing and distribution sectors. The company approaches hedge funds, family offices and other mature professional investors to fund the invoices. Qupital raised US$2 million in a seed funding round in May 2017, a round led by Hong Kong-London firm MindWorks Ventures and the Alibaba Entrepreneurs Fund. Co-founder Andy Chan said back then that there was no plan to expand to new markets. However, he said that the company was looking into adding new products including support for purchase order financing as well as new features that would enable investors with capital but limited time to pay in money on an automated basis. Founded in 2013, WeLab is a leading fintech startup in Hong Kong specialized in peer-to-peer lending. The firm operates several online lending platforms including Wolaidai, one of China’s leading mobile leading platforms, and WeLend, Hong Kong’s largest online lending platform. In November 2017, WeLab raised US$220 million in combined equity and debt financing. The round, which WeLab said was its Series B+, brought its total funding so far to US$425 million. Investors include the Alibaba Hong Kong Entrepreneurs Fund, the World Bank’s International Finance Corporation (IFC) and Credit Suisse. The company said at the time that the capital would be used to partner with more banks to develop financial products and services. 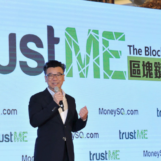 It already works with more than 40 banks and is planning to expand into Southeast Asia. 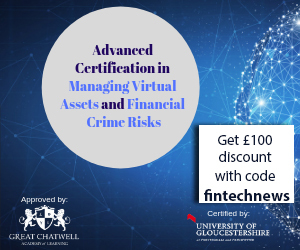 The new financing will also be used to develop the company’s artificial intelligence and automation capabilities to detect fraud, lower operating costs and improve customer experience. TNG Wallet is one of Hong Kong’s leading e-wallets with over 600,000 downloads. The mobile app features instant money transfer, forex, bank transfer, global bill payment and global SIM top-up functionalities, and more. TNG Wallet’s network counts 13 countries, 852 banks and over 183,000 cash pick-up points. The company has already expanded to several other locations in Asia. CEO and founder Alex Kong said the company now has 70% of the market share in the Philippines and 90% in Indonesia. India, Vietnam, Thailand and China are the next target markets for expansion. 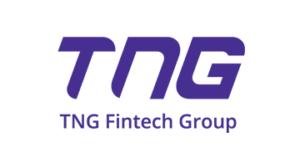 In November 2017, TNG Fintech Group raised $115 million in what was then said to be the largest Series A round ever for a Hong Kong startup. The company said it plans to apply for a challenger bank license in Hong Kong. Founded in 2016, Mioying Financial Technology develops artificial intelligence based software solutions for investment managers and private banks. The company launched its wealth management platform MPro in March 2017, which offers end-to-end data and analytics capabilities, including robo-advising and compliance management. The platform integrates internal and external data sources that then feed into reporting and analytics tools. Mioying is backed by Chinese VC ZhenFund, and has offices in Shanghai and Hong Kong. CompareAsiaGroup offers a comprehensive overview across various financial products and works with over 100 partnered financial institutions and brands in the region, including Allianz, American Express, ANZ, Axa, DBS, HSBC, Generali, MayBank and Citi Bank. It claims more than 28 million people used its sites in 2016. CompareAsiaGroup raised a US$50 million Series B round in July 2017 led by the International Finance Corporation (IFC), a member of the World Bank Group, and includes capital from new investors Alibaba, SBI Group and H&Q Utrust. The company said back then that it would use the new funds toward technology, marketing and hiring. It will also go towards further integration with financial services partners and improving the user experience. 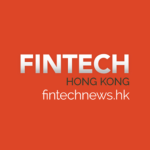 In December 2017, Hong Kong-based firm Lion Rock Fintech raised a US$9.4 million funding round led by Marathon Venture Partners with participation from 9F Inc., and NYSE-listed fintech company Yirendai. 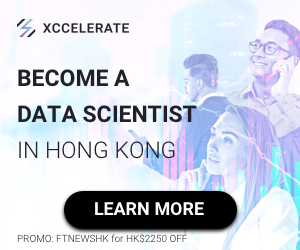 Upon completion of the transaction, which is still subject to approval from the Securities and Futures Commission of Hong Kong (SFC), Lion Rock Fintech will own Noble Apex Advisors Ltd., a SFC-licensed company. Noble Apex operates iFund, an online fund distribution platform that offers more than 1,000 mutual funds from over 50 different asset management companies. 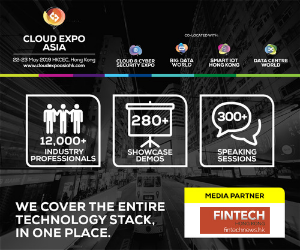 Lion Rock Fintech aims to expand iFund as a leading online fund distribution platform. It will also operate lionfin.com, a financial medai platform providing real-time financial information and comprehensive wealth management information. Wesurance is an insurtech startup which made headlines in late-2017 for announcing Hong Kong’s first insurance app featuring artificial intelligence and electronic know your customer (eKYC) capabilities. The mobile app for insurance services was launched in partnership with Allied World Assurance and TransUnion. It features an AI-powered virtual assistant named Amy who can walk customers through the process of taking out a policy. It incorporates eKYC and facial recognition technology for faster and easier user verification. Travel insurance policies are Wesurance’s first range of products. The company has plans to launch other products on the platform in the near future.